Iran’s state TV broadcasts footage purporting to show close encounter between local navy and USS Theodore Roosevelt. Iran’s state TV on Saturday broadcast footage purporting to show a close encounter between the Revolutionary Guard’s navy and the USS Theodore Roosevelt early this year, The Associated Press reported. 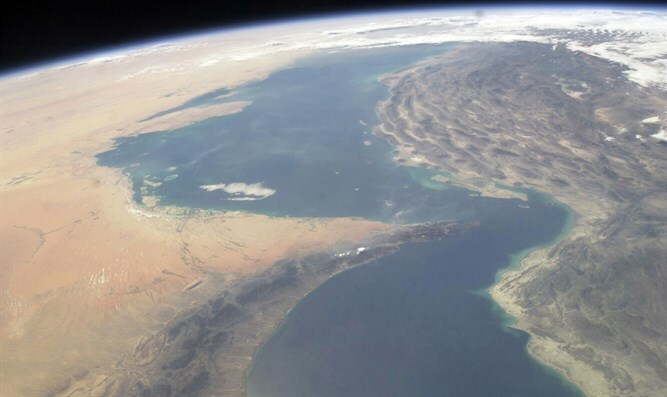 The footage, which aired on the Iranian PressTV, reportedly shows an encounter which occurred March 21 in the strategic Strait of Hormuz in the Persian Gulf. It is believed the footage could be meant as a show of strength amid new US sanctions on Iran and the Trump administration plans to bring Iranian oil exports down to zero. In one such incident in June of last year, an Iranian missile boat pointed a laser at a US Marine helicopter while two Navy warships and a cargo ship were transiting out of the Persian Gulf through the Strait of Hormuz. In March of that year, the US aircraft carrier George H.W. Bush confronted two sets of Iranian Navy fast-attack boats that had approached a US-led, five-vessel flotilla as it entered the Strait. In January of 2017, a US Navy ship fired warning shots at Iranian boats near the Strait of Hormuz, after five Iranian vessels approached the USS Mahan and two other American ships that were entering the strait.